Isn’t it a wonderful world when we can hear those flying dinosaurs, birds, singing their sweet songs every day. No matter what we are facing their cheerful chirps help make things brighter. After spending their days searching for food, caring for their young and entertaining the world with their beautiful singing, they are ready to catch those 40 winks of sleep. If you think birds sleep in nests, you would be wrong. That’s a children’s storybook tale. Birds hatch their chicks in nests and their parents only cuddle them on cold nights to keep them warm. 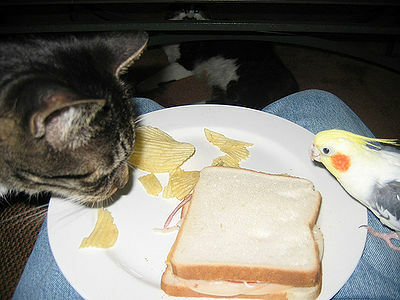 Birds are prey to other animals and even some other birds. So they must look for places to sleep that are safe and provide warmth. Some small birds choose to sleep in dense foliage such as bushes which can keep them fairly safe from cats, owls and other predators. Ducks, geese and other water birds usually sleep on the water while larger waterfowl sleep in the shallows. Predator birds such as eagles and hawks sleep at night too, so waterfowl are safe from them. Swimming predators can be felt through vibrations in the water. Many birds have the ability to sleep with one eye open. In this way, information is sent to the opposite side of the brain through the open eye to warn of predators. Birds living in snow areas depend on their white color to provide camouflage. Some birds find safety in numbers and form large flocks and sleep together. Most birds, about 5,500 species including starlings, wrens, orioles, sparrows, finches and many more, perch on a tree limb to sleep. They are called passerines or songbirds and each specie has its own special song. The tendons in their legs, when bent, will tighten and lock onto the branch allowing them to sleep without falling off. Woodpeckers, some species of owl and many other birds will find safety and sleep in tree cavities. 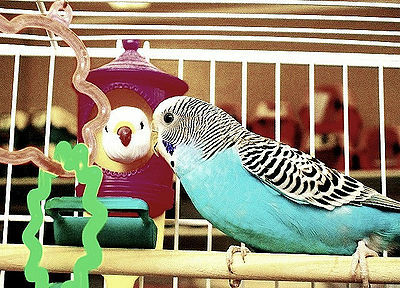 Please check our article, “Care and Feeding of Outdoor Birds” about providing food and water and care for them. My granddaughter’s cockatiel, Tweety, who lives with me now, sleeps perched on a branch in his cage with his head tucked in his feathers, a position of many birds. 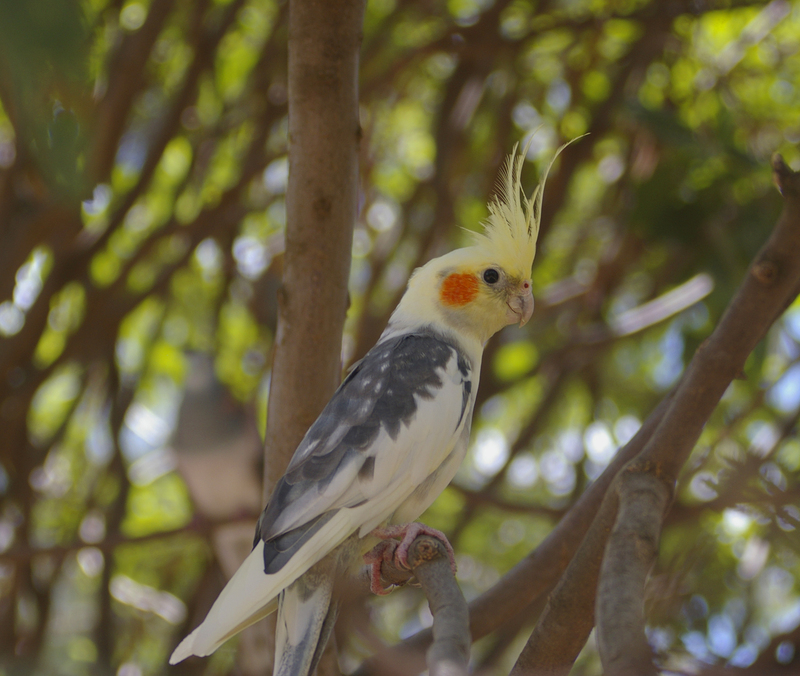 What is your pet bird’s favorite roosting spot?